The nineteenth century was an age of invention in the United States, and it brought about a flowering of the arts and sciences. Fascinating characters emerged in southern Vermont and New Hampshire to act on this new stage. One carved a “snow angel” that wowed his neighbors and then he went on to sculpt a famous statue of “Honest Abe.” Another studied painting with Jean-François Millet and influenced Winslow Homer. Yet another started a new religious community that practiced an early form of “free love.” Who were these people? Where did they live and how were they connected? Learn more about them at the Woodstock History Center at 7 p.m. on September 18. 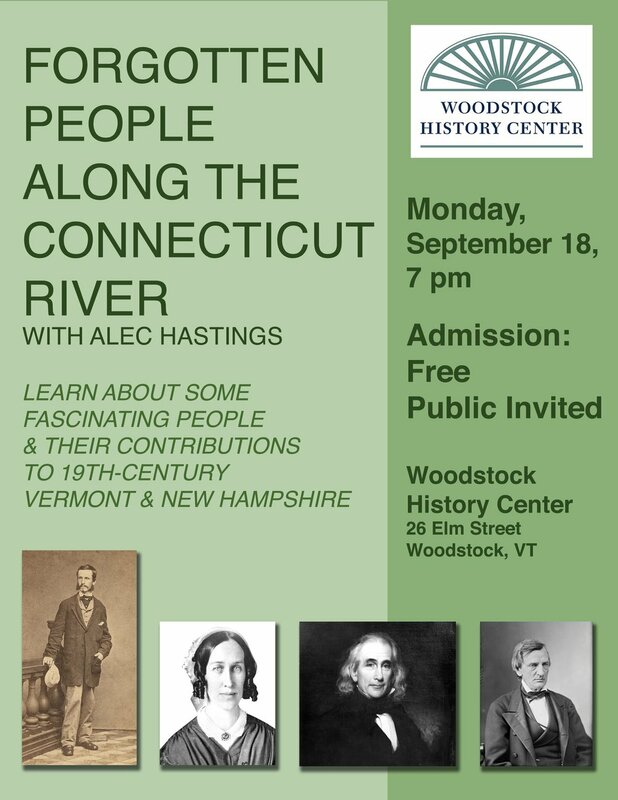 Presentation by Alec Hastings, Vermont author and Vermont history enthusiast.